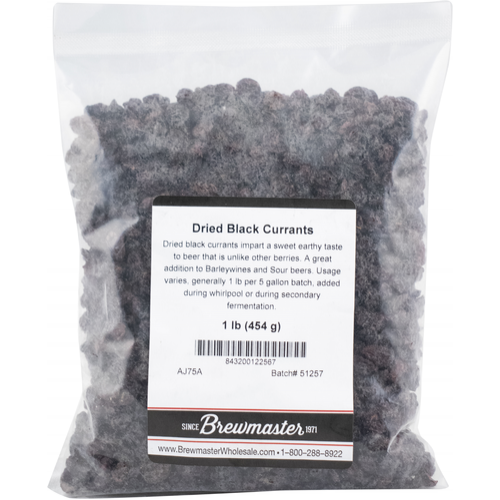 Dried black currants impart a sweet earthy taste to beer that is unlike other berries. A great addition to Barleywines and Sour beers. Usage varies, generally 1 lb per 5 gallon batch, added during whirlpool or during secondary fermentation.